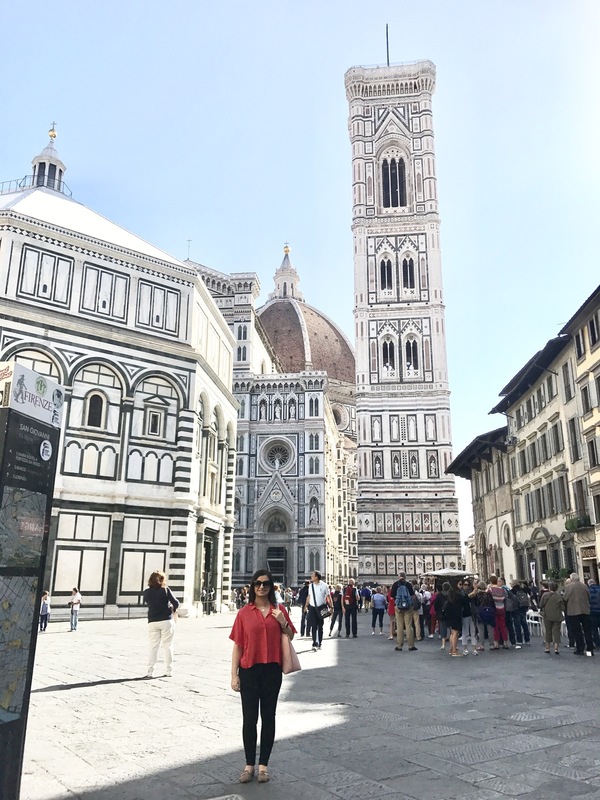 It’s been over a month since I was in Florence, for what was my first trip ever to Italy. 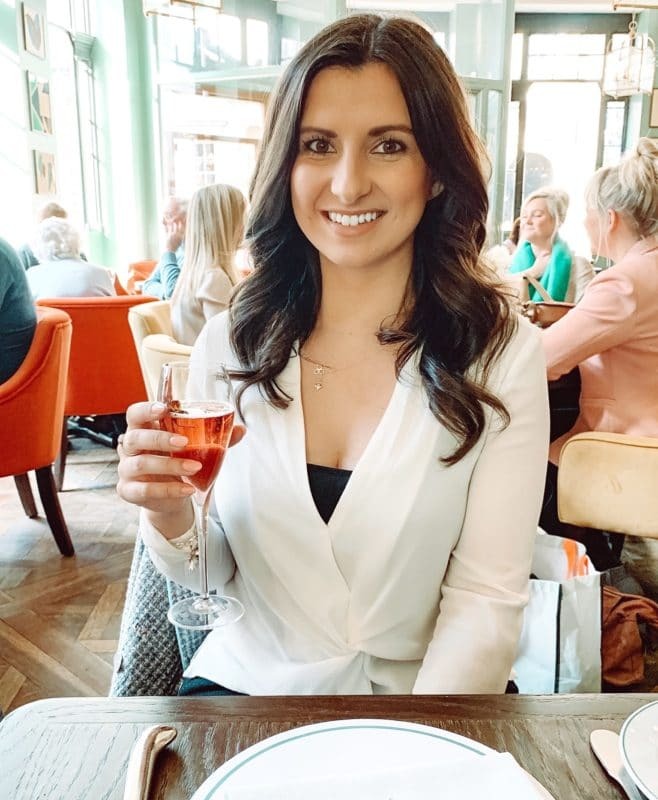 Without a doubt one of my favourite things in any new city is discovering the best views, both the typical Instagram-worthy and the more authentic that don’t always make it onto trending hashtags or ‘Top ten photos of….’ lists. 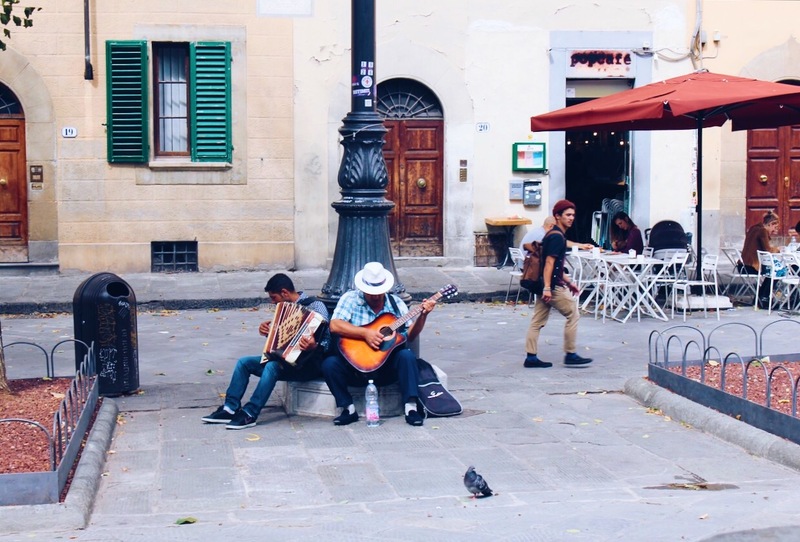 Sometimes you can appreciate the view of the place you’re in from a cafe window, or a street bench outside a shop, or a rooftop terrace for example. 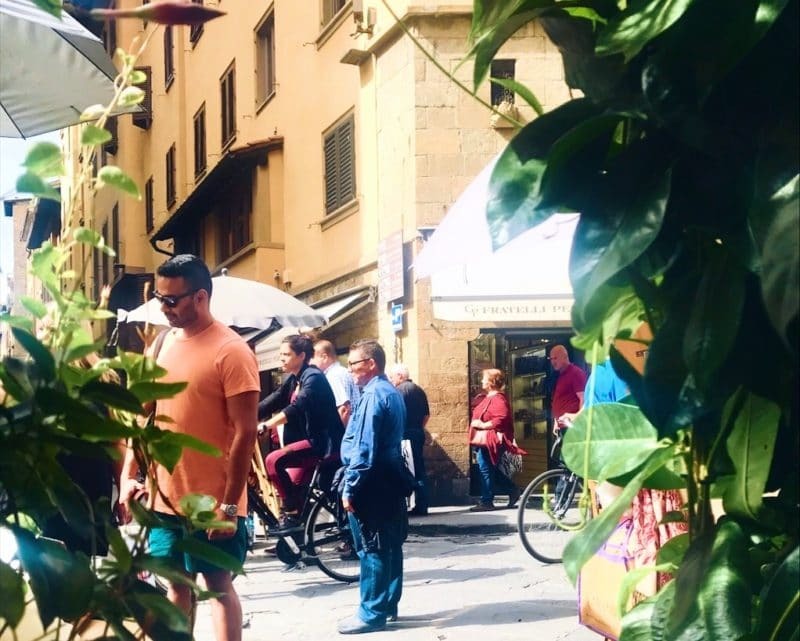 There were plenty spots that gave beautiful views in Florence, the sprawling rooftops towered over by the Duomo was of course one of them, but there are plenty more less obvious ones to discover too. 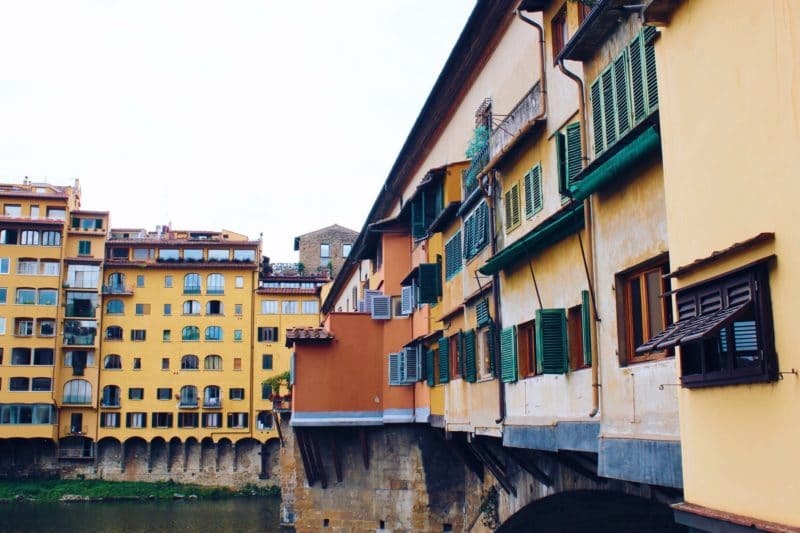 Italians love to make the most of their bridges, and the famous Ponte Vecchio is no exception. 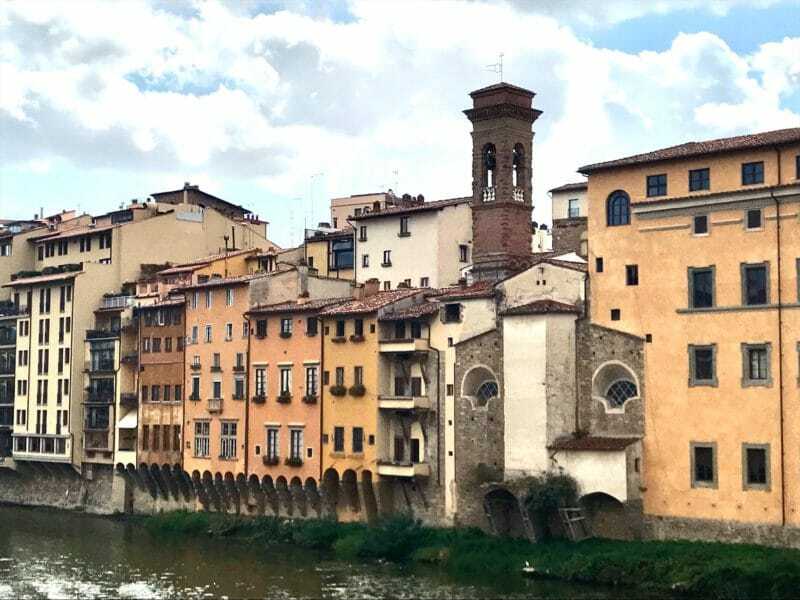 Lined with numerous jewellers and leather goods shops, and dating back thousands of years Ponte Vecchio was the first bridge to cross the River Arno in Florence. It was the only bridge not destroyed during World War II, and as such still has the secret corridor that runs along the top over the shops. 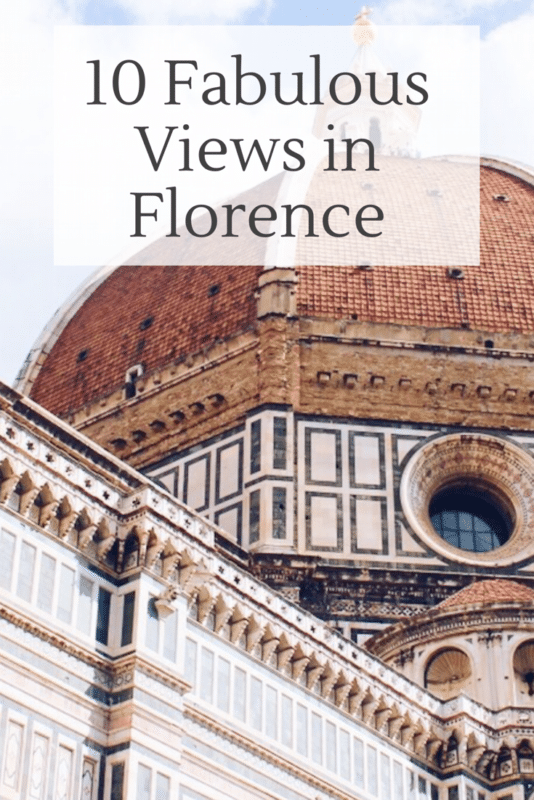 It may be lined with shops on both sides, but right in the middle of the bridge are giant open arches on both sides, and from these arches are the beautiful views of the River Arno, and the city of Florence on either side of it’s banks. Ponte Vecchio itself makes a pretty good view, but with Italians definitely making more of their bridges than their river banks, we had to battle with the crowds to get a good view of it. Unlike places like London and Paris, the river banks don’t really have much going on, they’re lined with buildings rather than promenades and public spaces. 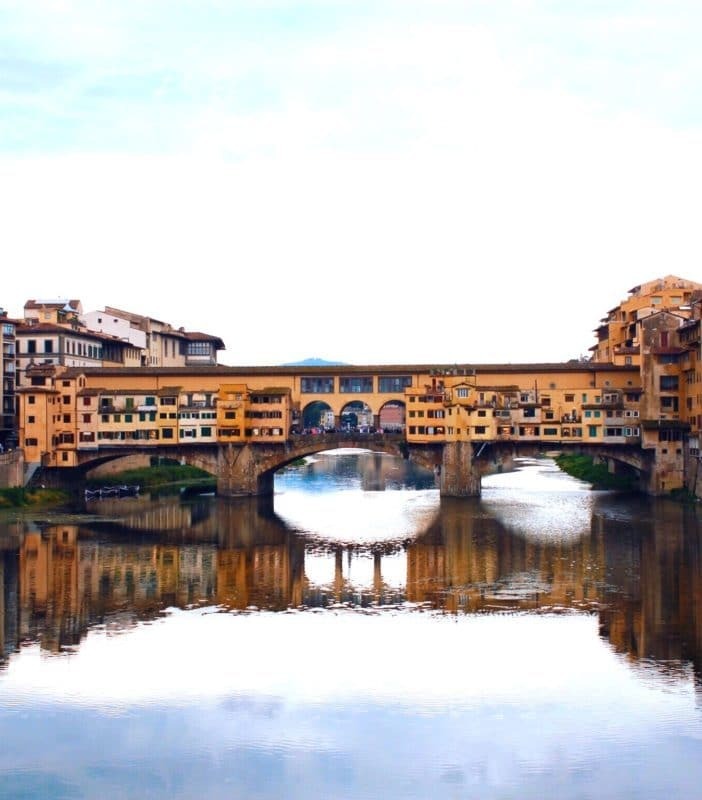 One of the best views of Ponte Vecchio was from the adjacent bridge early morning or around sunset. With calm waters, Ponte Vecchio reflected perfectly in the river, and you could really see the make up of all the little shops on the bridge. Their yellow Tuscan walls dotted with bright coloured shutters were one of my favourite views of the trip. Palazzo Pitti, or Pitti Palace is an ancient palace that was originally built for Luca Pitti, a very wealthy banker, before it was passed to the Medici family in 1549. The Medici family ruled over Tuscany and Florence, and resided in Palazzo Pitti. 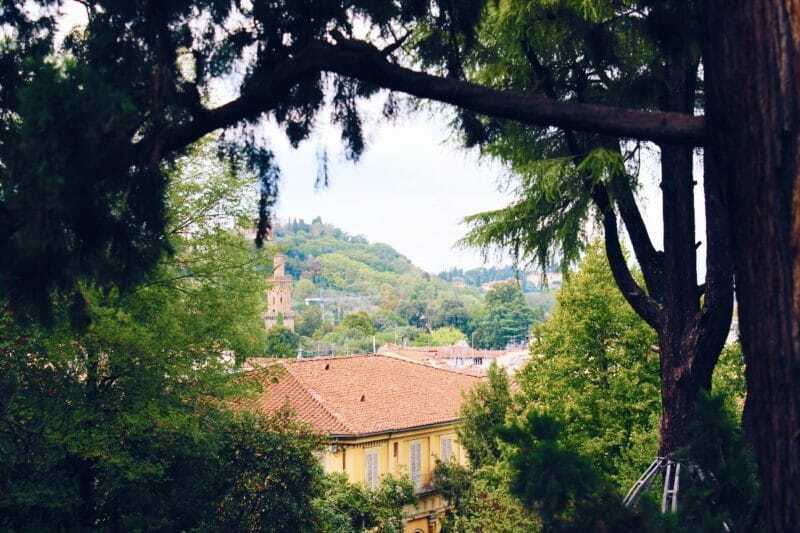 The Rennaisance palace is stunning, but equally beautiful is the view over the city and of the Duomo from it’s gardens. One absolutely not to miss. 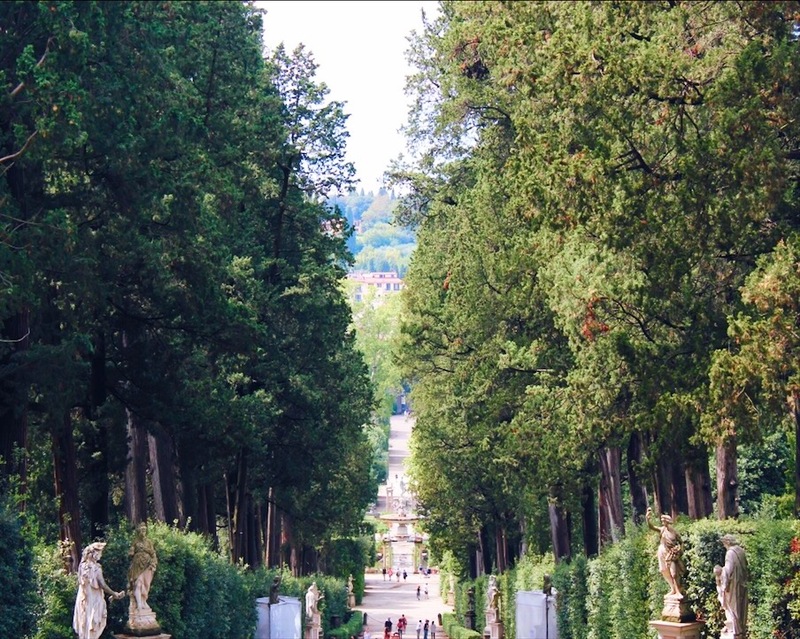 The view of the city is incredible, but the gardens of Pitti Palace also have some incredible views of their own. Also known as the Boboli Gardens, they’re landscaped and home to many a sculpture, fountain, a lemon garden and rolling expanses of lawn. 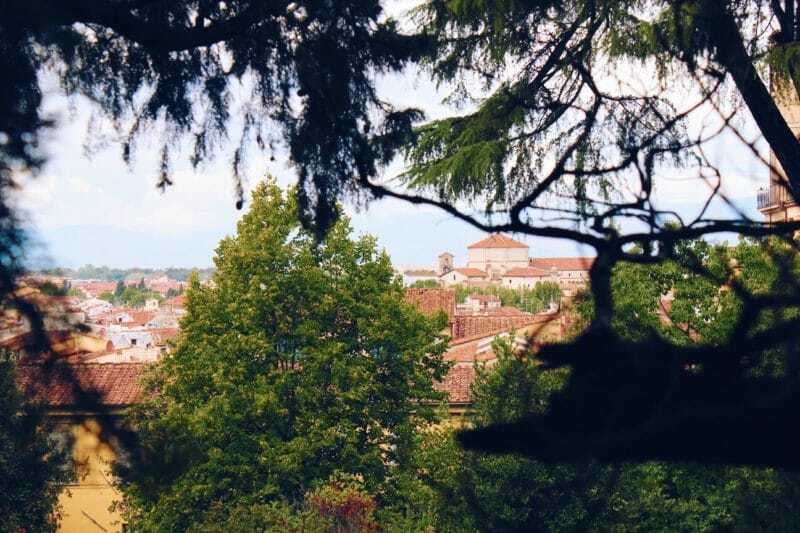 A wander through them will take you up and down the natural hills, and often through gaps in the trees you can see well beyond Florence and across the Tuscan hills and vineyards in the distance. Gorgeous. 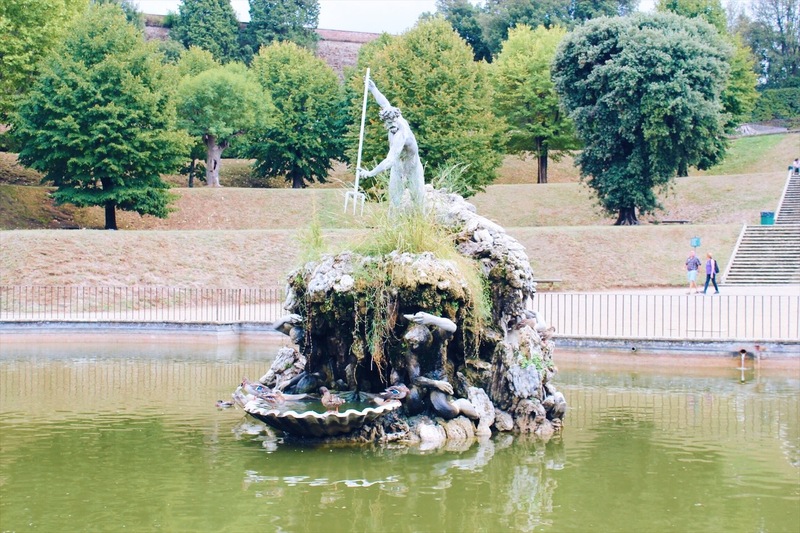 Also in the Boboli Gardens is the giant water feature known as Fountain of Neptune, complete with a bronze statue of Neptune and his trident. This is what gives it the locally christened name of ‘Fountain of the Fork’. While the symmetrical views of the fountain are beautiful up close from one of the stone benches that surround it, a walk up the hill back to the Palace will give you an entire view of the Basin of Neptune that it sits in if you turn and look back down. 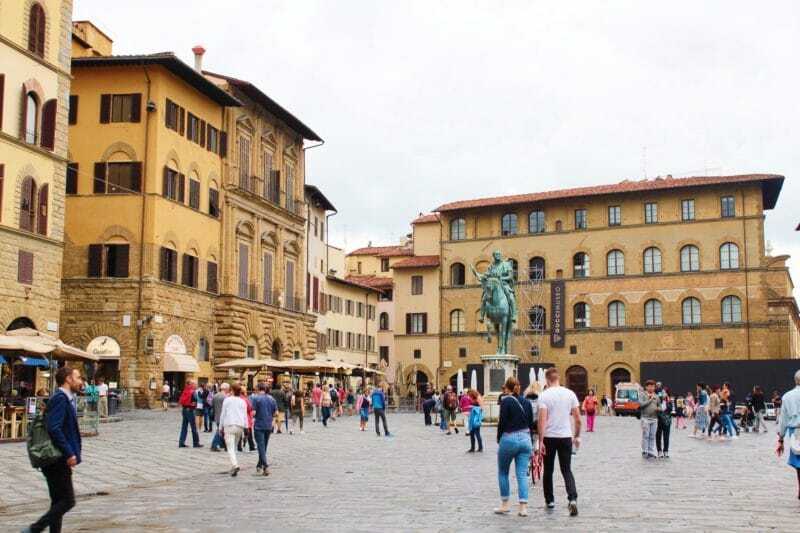 The main square in Florence, Piazzo della Signoria is home to Rivoire restaurant, and from an outside terrace table, with a bottle of wine and an Italian chocolate desert the square can be seen in all it’s beautiful Renaissance glory. The famous Palazzo Vecchio museum can be seen on one side, with it’s impressive display of ancient statues under the archways just outside. These include the copy of Michelangelo’s David from 1873, Perseus with the head of Medusa, and Neptune. Unfortunately when we were there, the giant Fountain of Neptune that is usually in the middle of the square was under renovation, but usually this would be in full view. Further around the square are more restaurants and gorgeous Italian apartments above. I imagine the view from the tiny balconies up there was pretty special too. Then right in the far corner is the Gucci Museo. Closed for renovation meant we couldn’t go in, to my complete devastation. Here was the beginning of the Gucci story, and one that I will absolutely return to Florence to learn more about when it reopens. 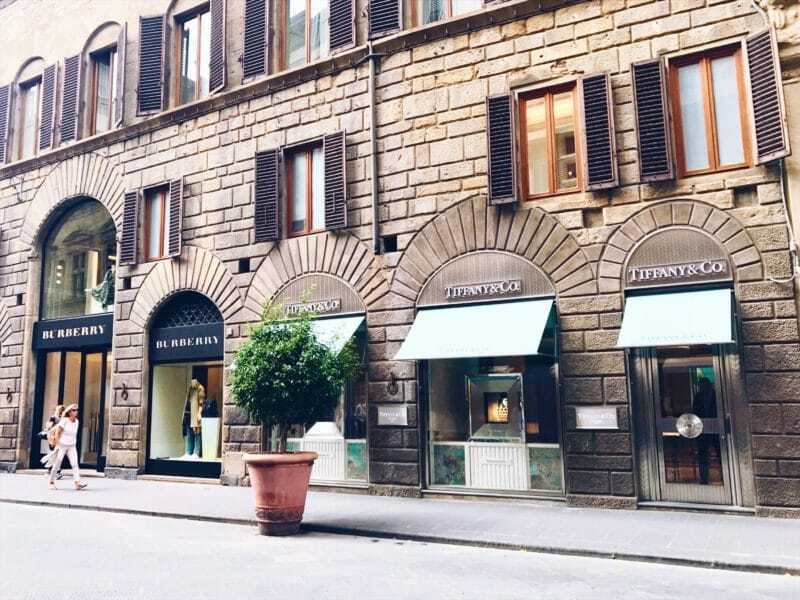 Speaking of fashion, and Gucci history, one of my favourite street views in Florence was the designer lined street of Via de’ Tornabuoni. Our hotel was at the far end, and looking down the street names like Gucci, Hermes, Tiffany, Fendi, Prada and many more jumped out. 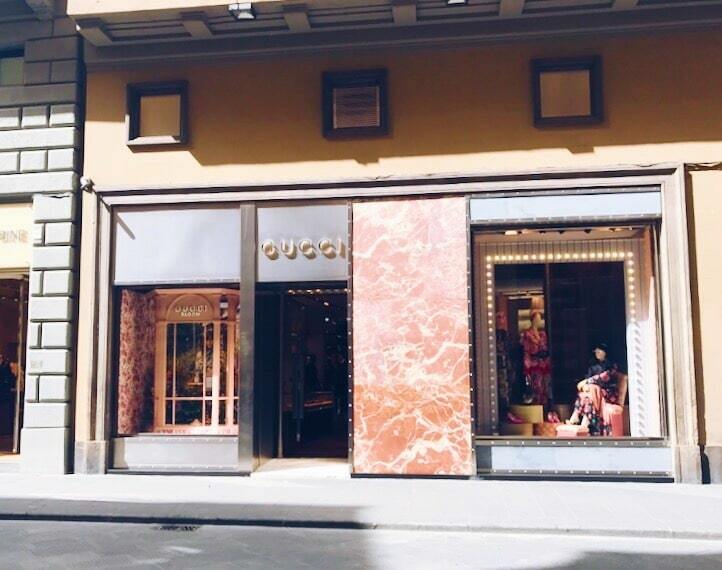 The Gucci store is the original, flagship store in the city where it came from. Seeing that store with the intention of making a purchase was a pretty good view of the trip. 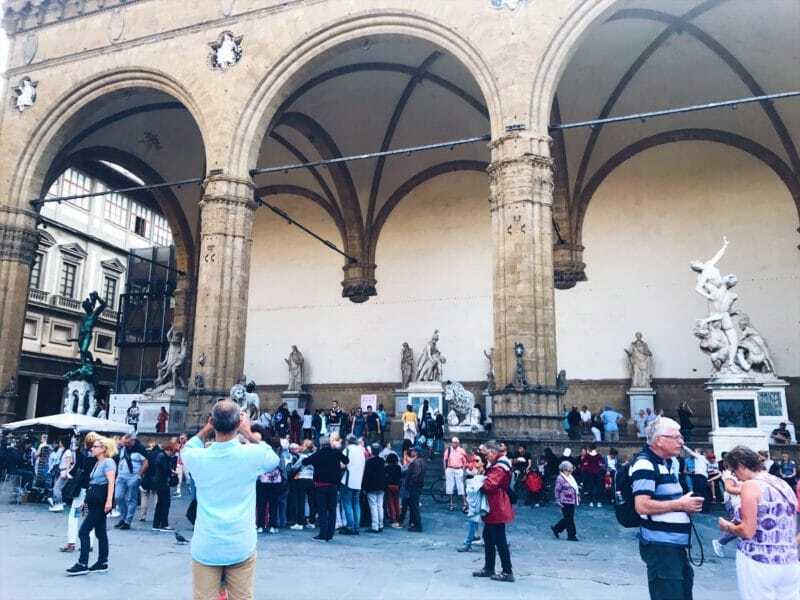 Il Duomo di Firenze – from anywhere! 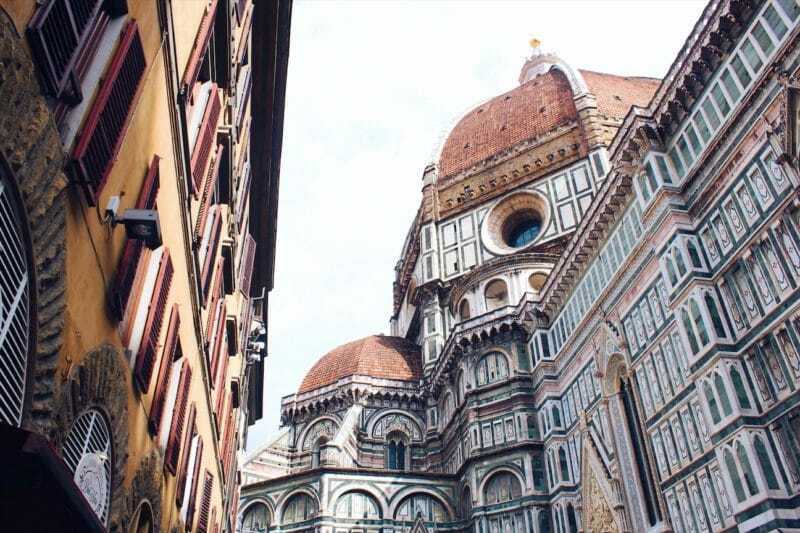 The giant duomo of Florence Cathedral, or Cattedrale di Santa Maria del Fiore is an impressive sight from wherever you see it in the city. Looming over the streets was my first impression, followed by the Duomo square where it stands in the centre. The entire cathedral and it’s intricate marble design is mesmerising. We didn’t go up it, but I’m told it’s worth the claustrophobic climb up 463 steps. No matter where you are when you catch a glimpse of the gothic dome, you’re going to be impressed. 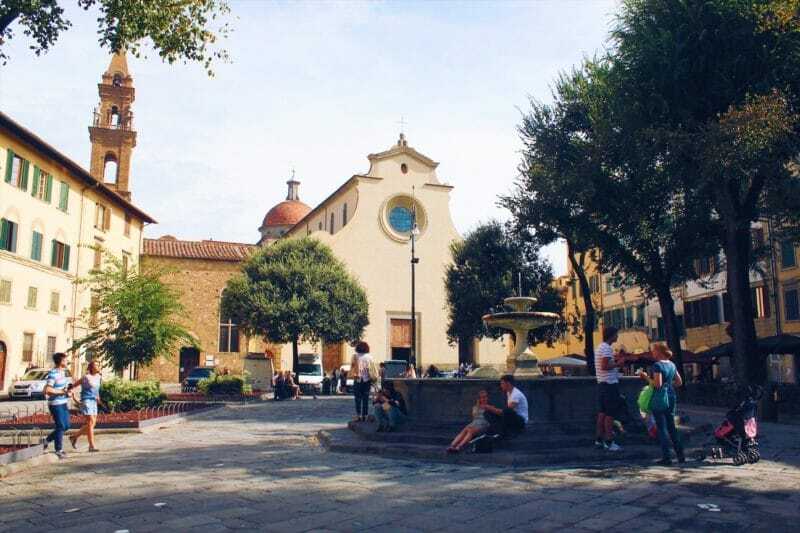 A charming little square full of locals, Piazzo Santa Spirito had a central fountain, a street market, and numerous little eateries and shops. There weren’t many tourists which is probably why it was so quaint, and instead local kids played football using the flower beds as goal posts, little old ladies sat nattering on the benches, and musicians sat and played to anyone who stopped to listen. Watching the world go by for half an hour was well worth it for an insight into the local culture. 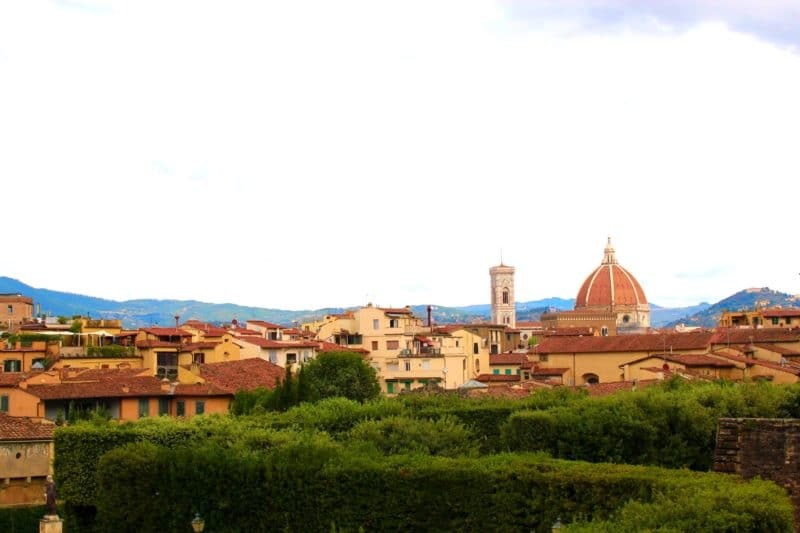 As is the case in most European cities, sitting at an outdoor cafe gave some of the best views in Florence. My favourite was from cafe Pontevecchio, which was right at the end of the bridge itself. From here you could see the street artists painting, crowds passing along the bridge, the police patrolling, and general characters that you see in any well known city. It made great viewing while munching on a pizza!